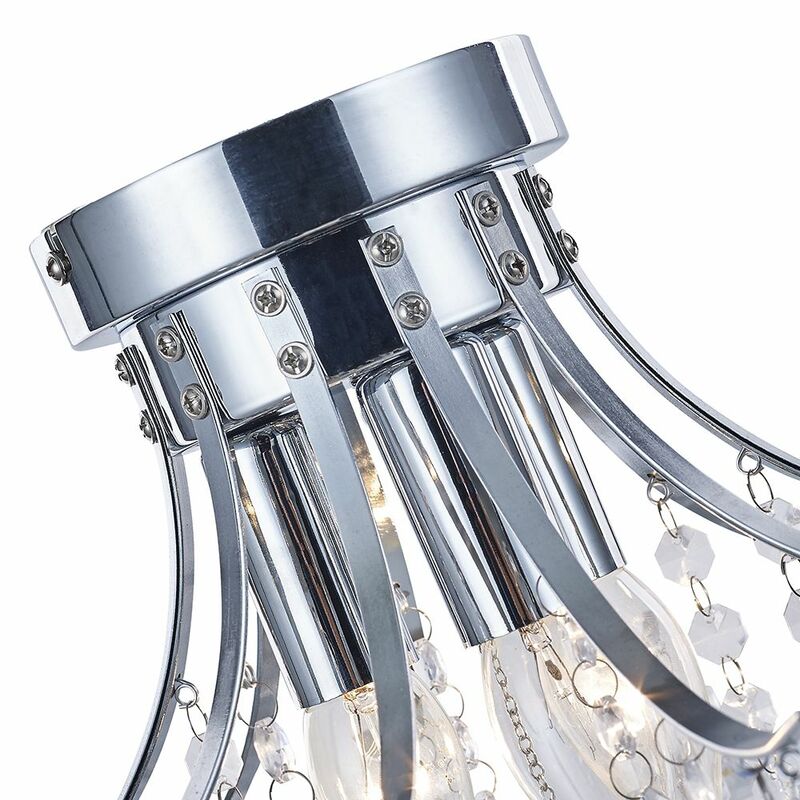 Stylish and contemporary polished chrome plated metal semi-flush ceiling light fitting. 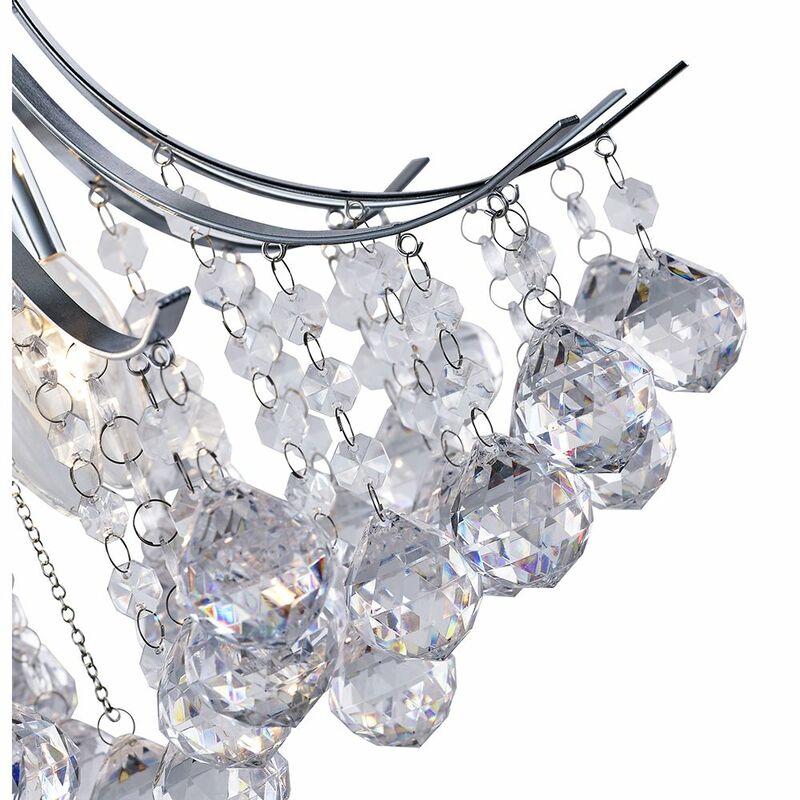 Features eye-catching and distinctive clear acrylic spheres and hanging beads of varying lengths. 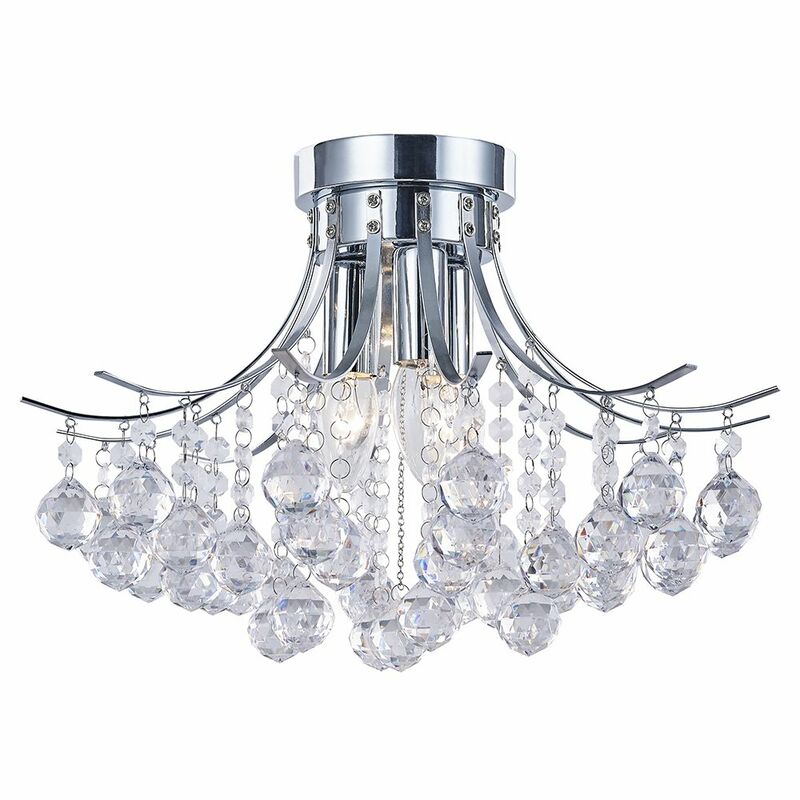 The fitting is suitable for dimming but bulb used must also must be dimmable. Total product dimensions - Height: 27cm, Width: 41cm, Length: 41cm. 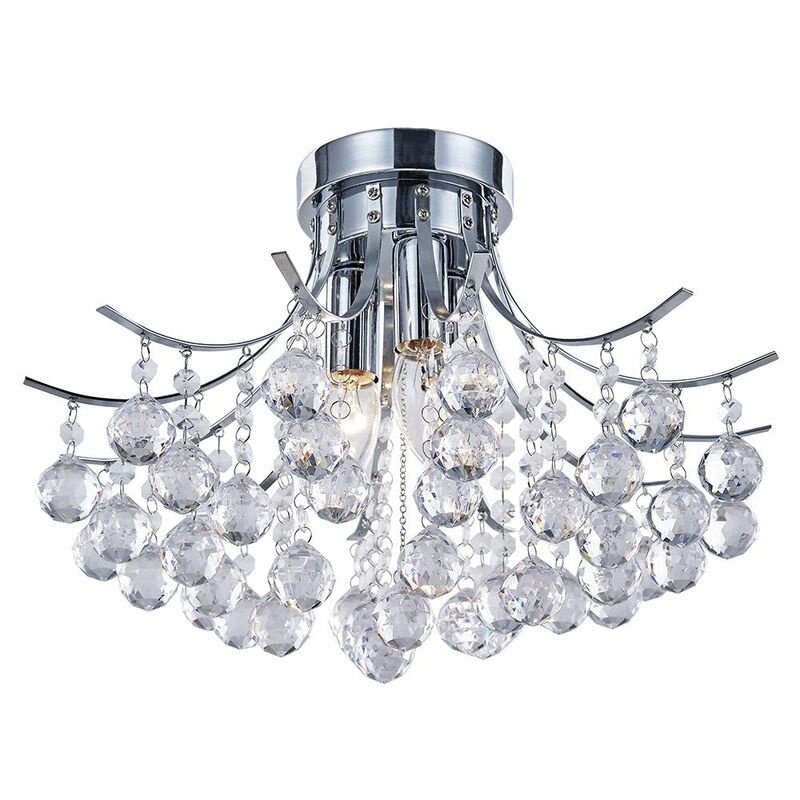 Requires 3 x E14 (SES) 40w maximum bulbs (not included). 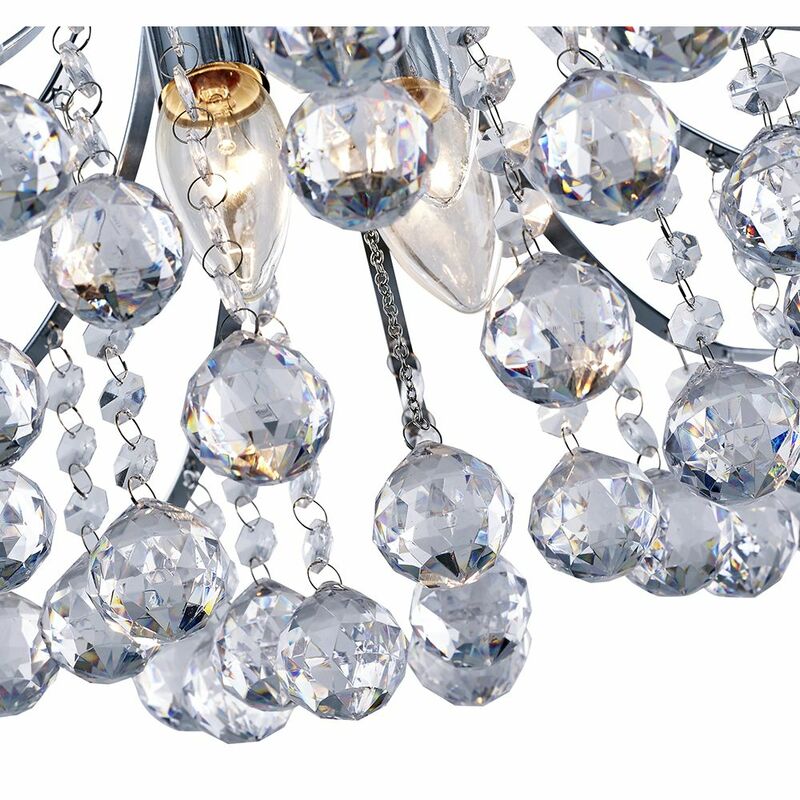 LED and low energy bulbs can be used if desired. Complete with 1 year electrical warranty.